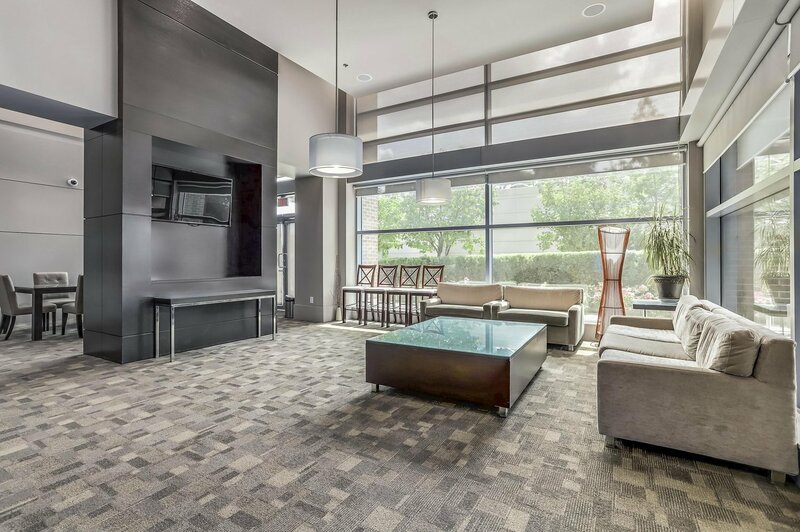 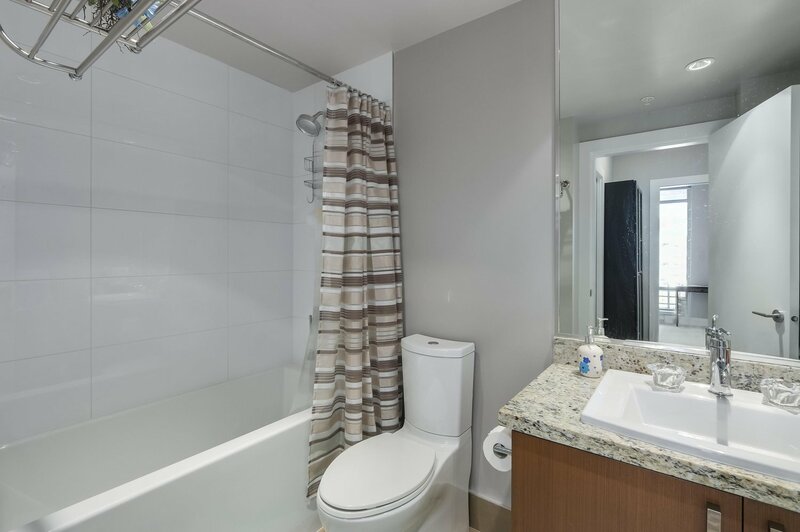 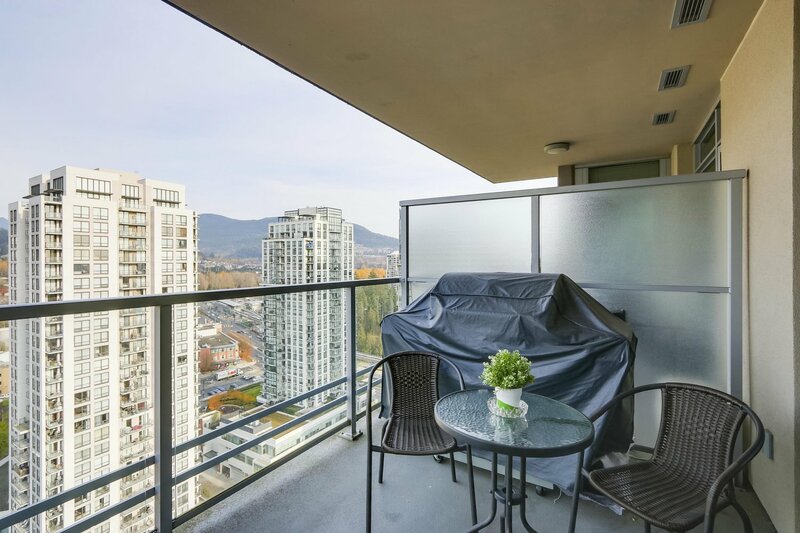 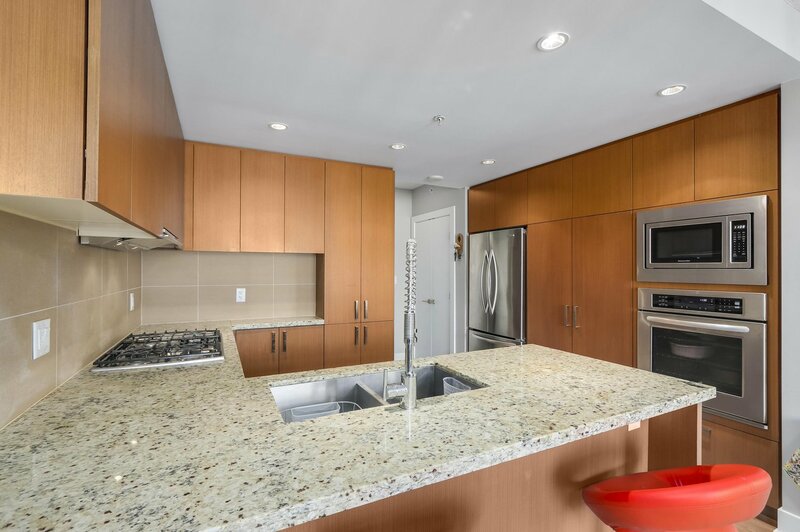 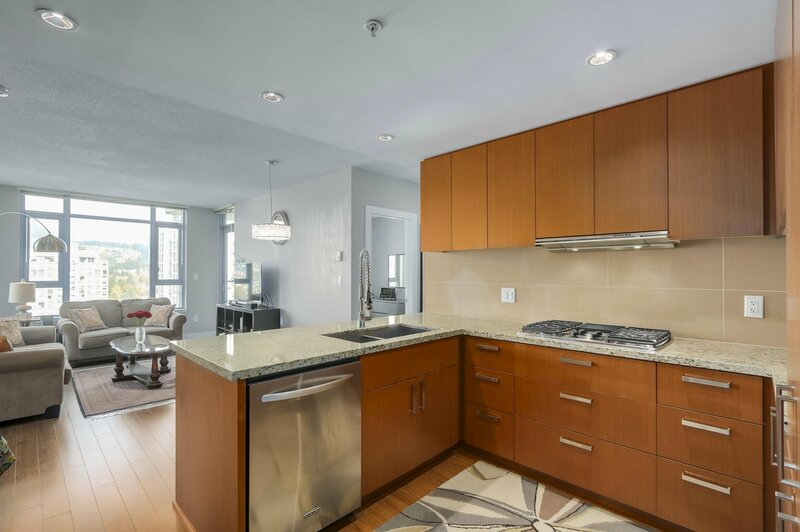 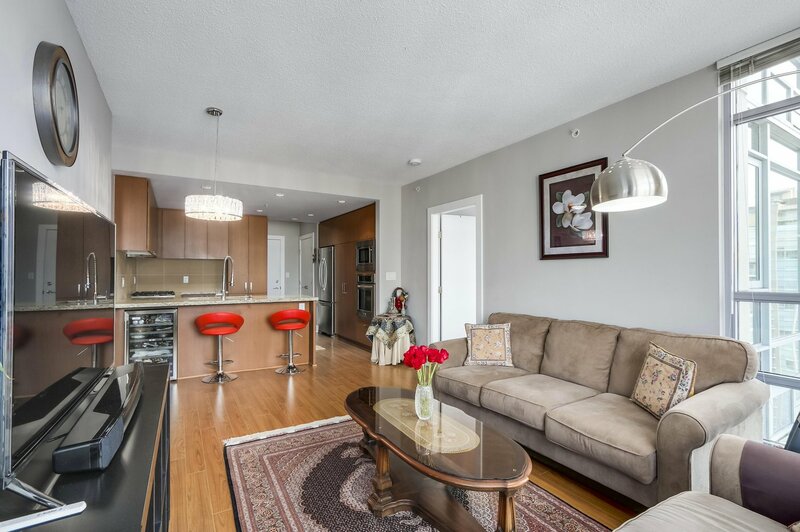 A beautiful 2 bedroom + 2 bathroom unit with great views in M1, a masterpiece by Cressey. 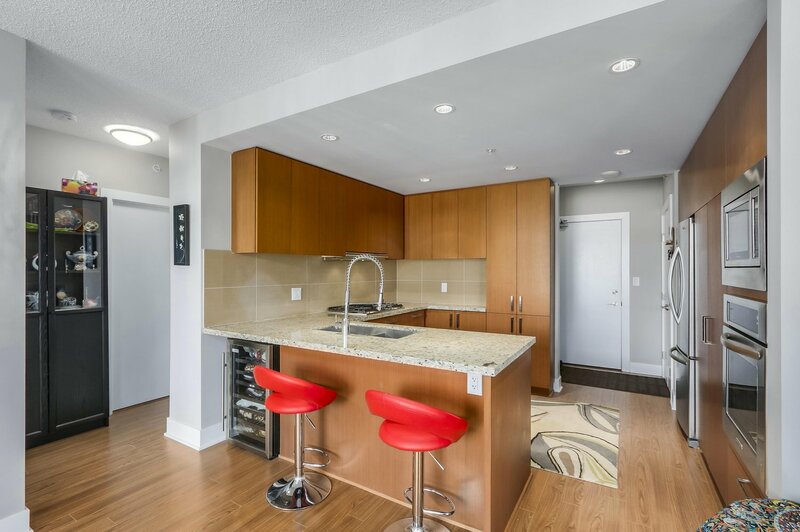 Very open plan. 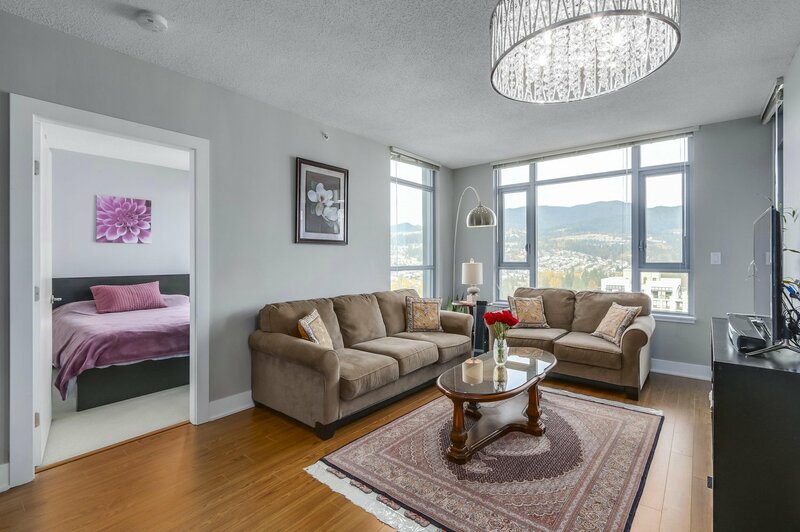 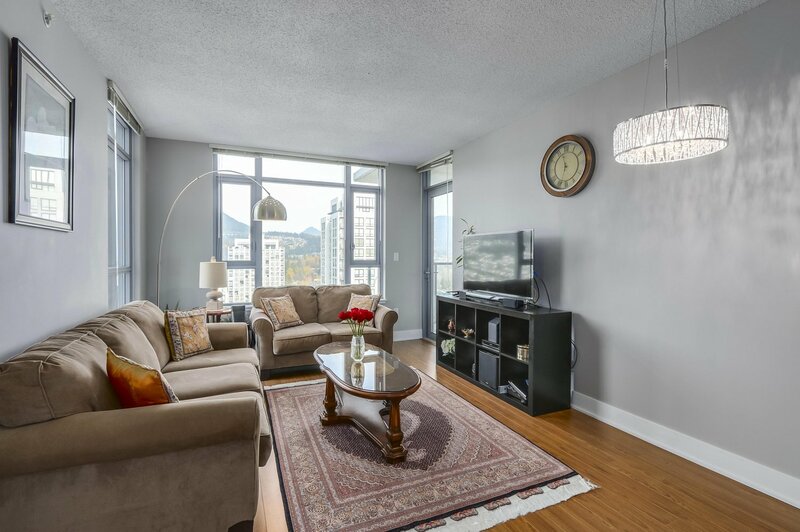 The two bedrooms are located separate from each other on the two sides of the living room and both come with the same gorgeous mountain views. 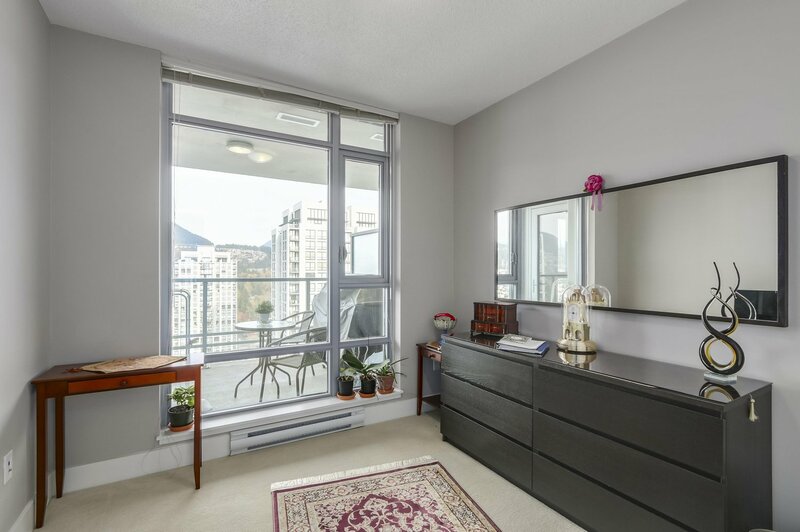 Laminate flooring, granite counter tops, wine cooler, a very good-sized kitchen with lots of cabinets and counter tops and a North facing balcony are some of the great features of this unit and all come with one underground parking stall, one storage locker and remaining of the 2-5-10 warranty. 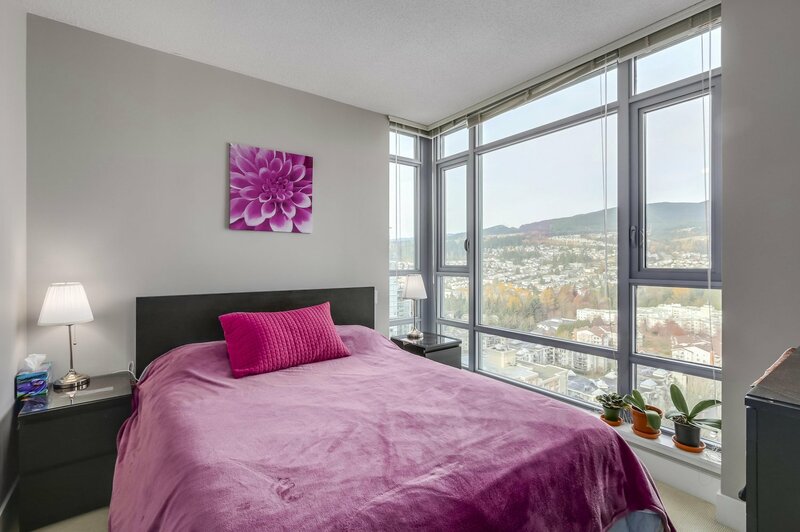 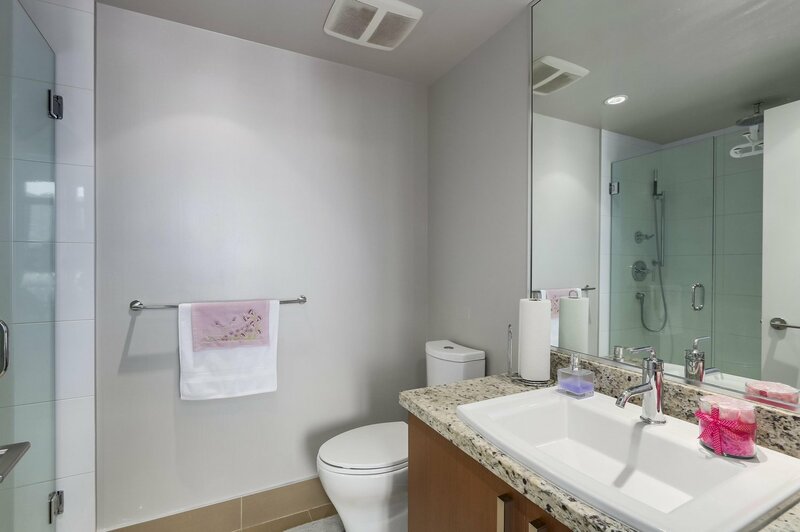 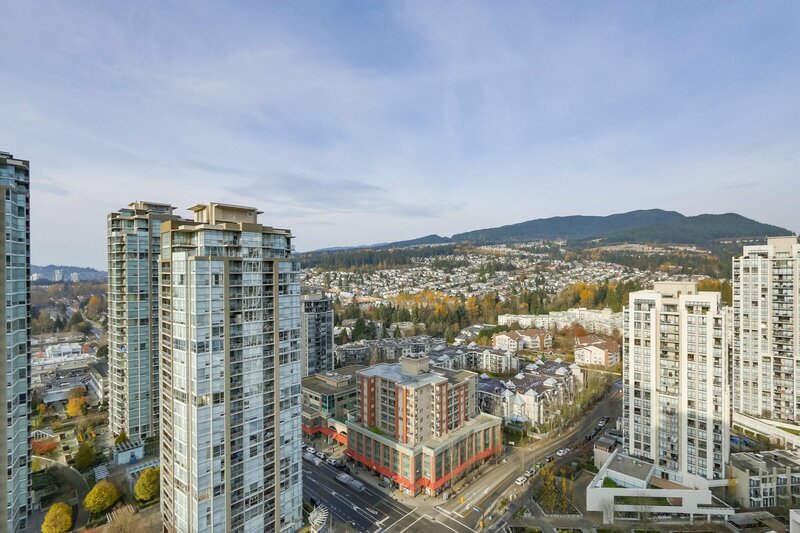 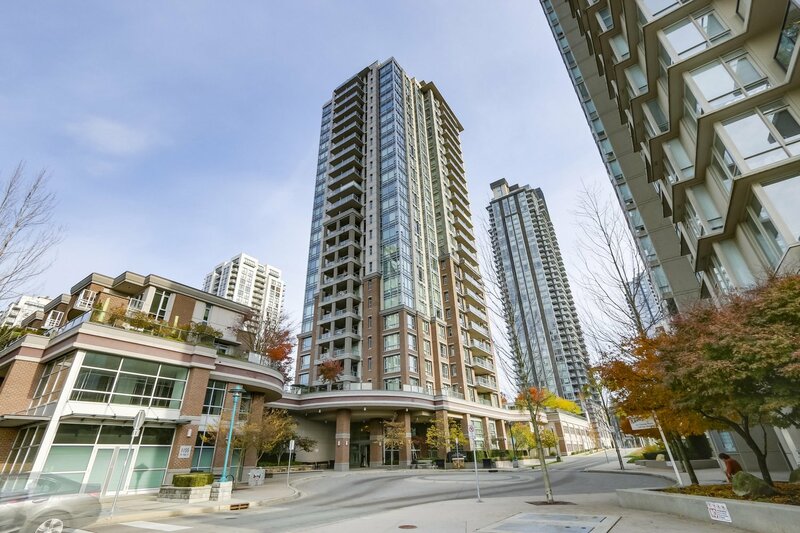 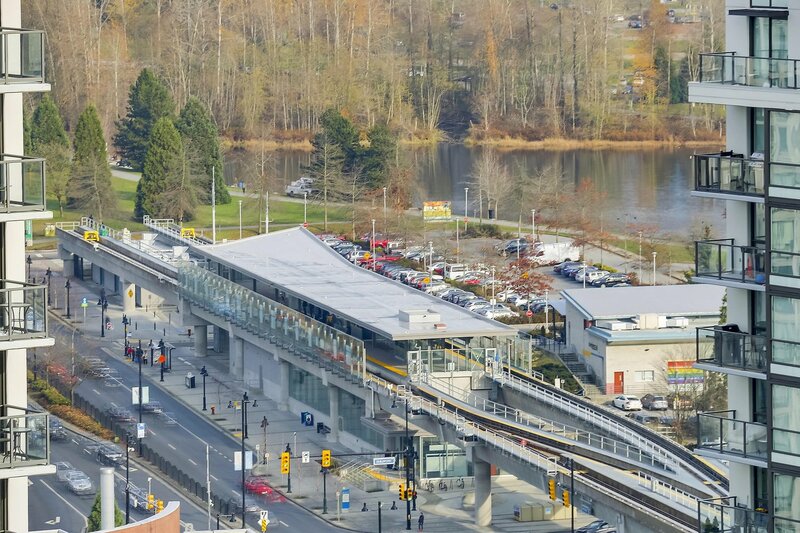 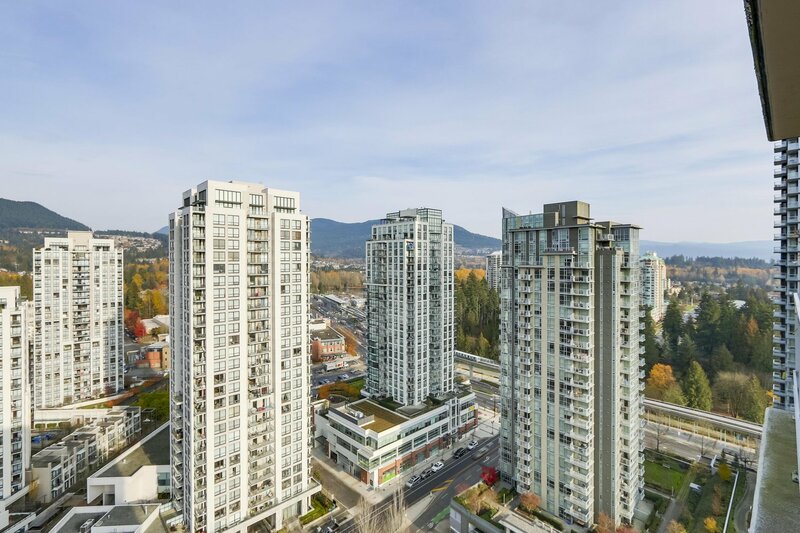 The building is located just a block away from Lincoln Skytrain Station and Coquitlam Centrre and a few minute walk to Douglas College and LaFarge Lake.